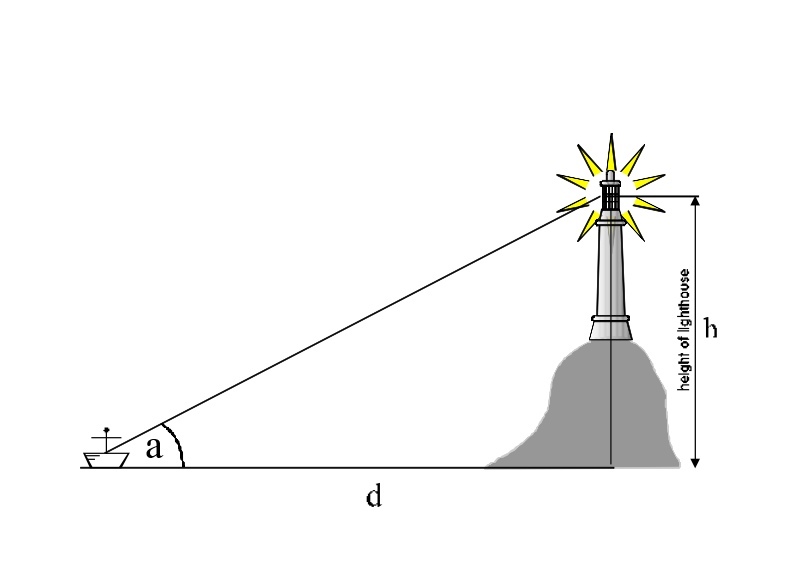 Also by convention, the various ratios of the sides of a right-angle triangle are given names. 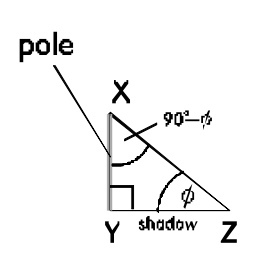 The table below gives the names of the ratios of the various sides in relation to angle ø in the diagram. 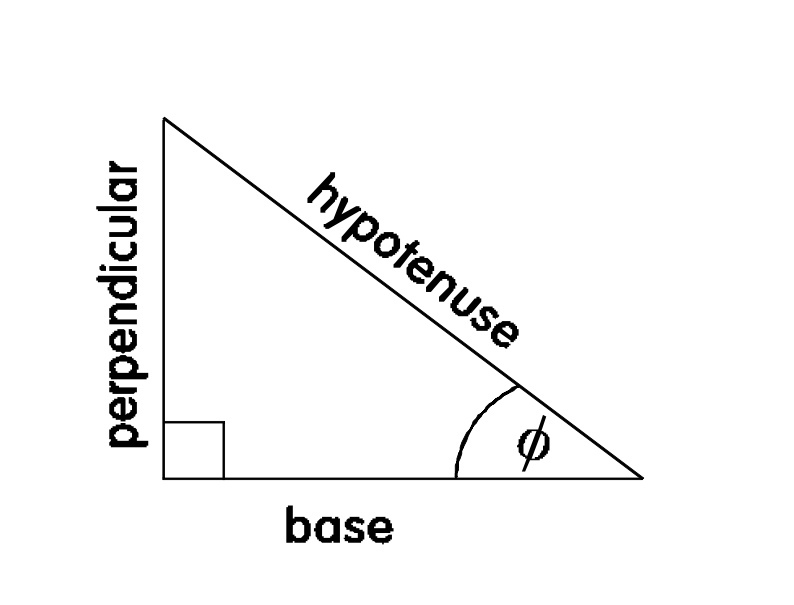 ∴ hypotenuse = 5.79 m.
∴ Ø = 47.8o . = 94 / 0.7265 = 129.38m. ∴ the boat is 129.38m. from the lighthouse.